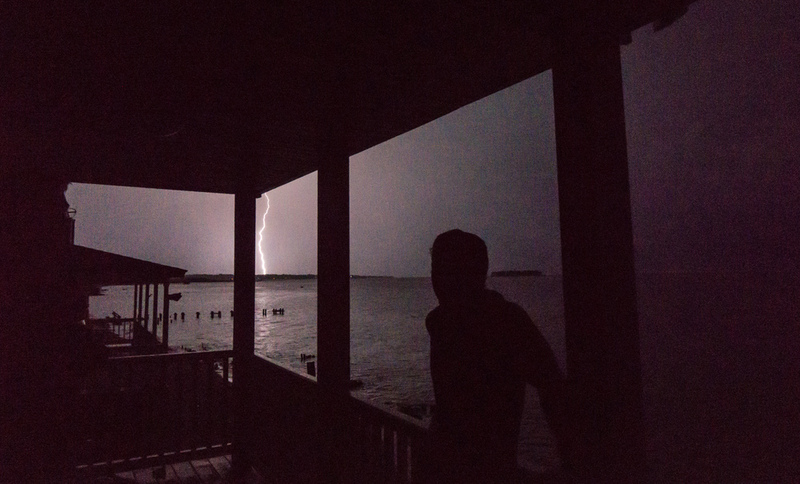 It's no secret that I love a good lightning storm. There is something visceral about watching such a pure expression of natures power. With no shortage of storms, August has been a great month to get out and shoot some stunning photos. Shooting eight second exposures looking West from Lordship Blvd in Stratford [above]. The bugs were terrible, but the view was worth it. A drones perspective. 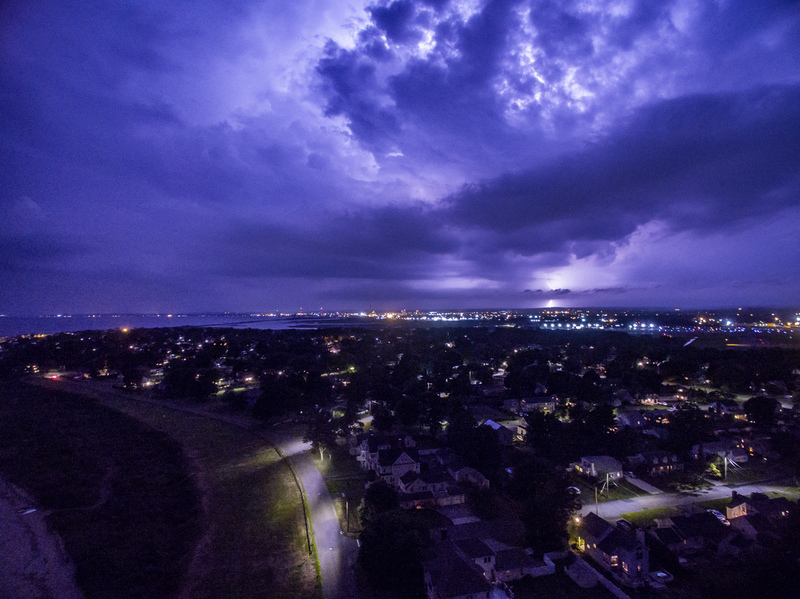 Photographing the lightning storm with a DJI Phantom from up in the sky. 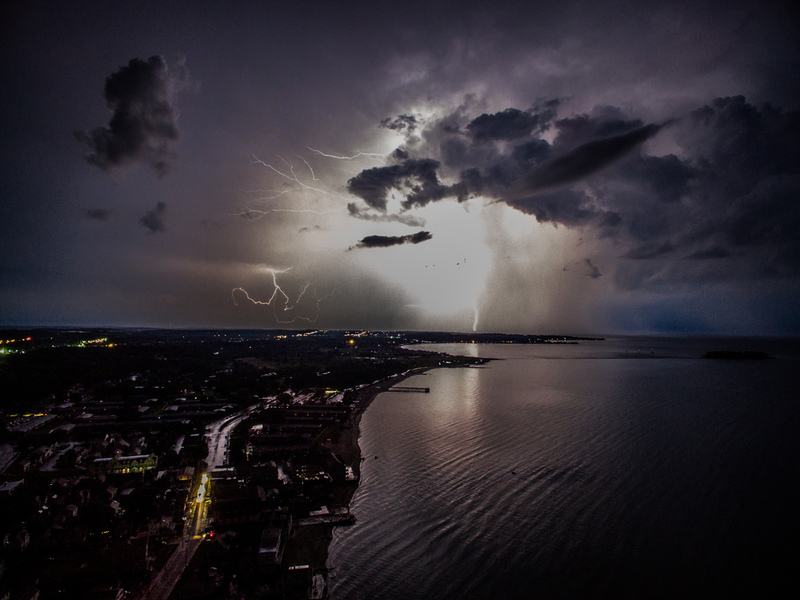 The storm that passed through 8/16 presented a great opportunity to get more drone shots. 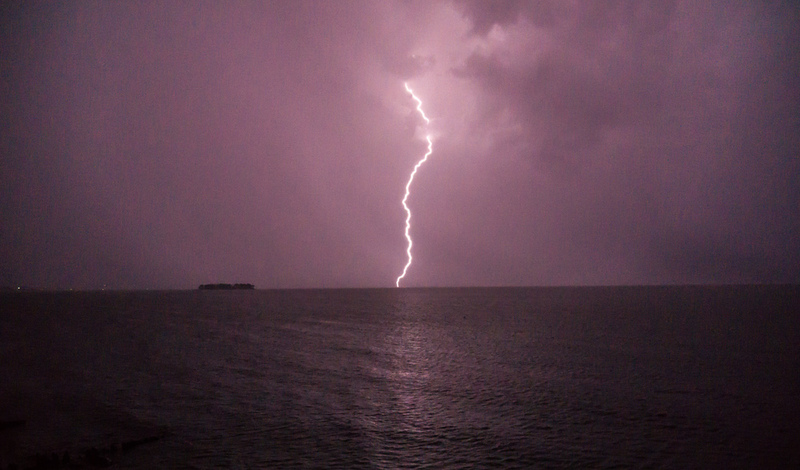 The rain stayed just far enough North for me to see the lightning show without getting wet. The wind however was another story, I flew up and encountered so much wind that the drone started getting swept away. I navigated back down to the calmer winds at lower altitudes and photographed from there. 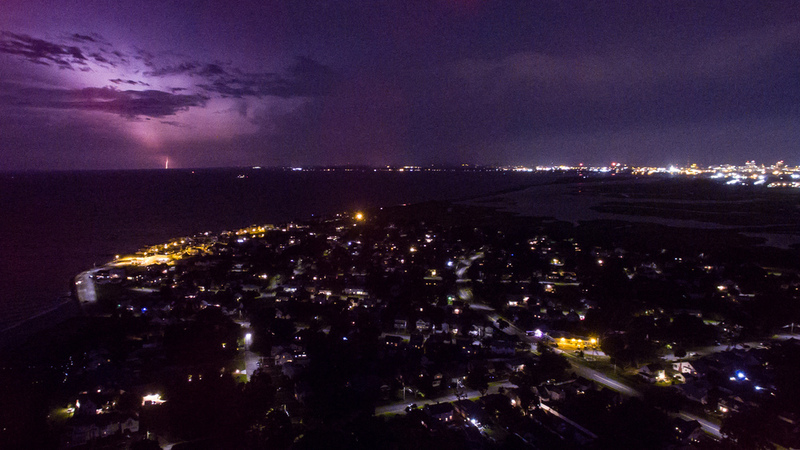 Lightning striking Bridgeport with Lordship and Russian Beach in the foreground.